Legendary, ReelFX and Oculus VR have put together a VR “experience” based on kaiju-bashing action flick, Pacific Rim. It was at Comic-Con last week, and sounds exactly like the sort of awesome multi-media projects I hope more companies use VR to make. 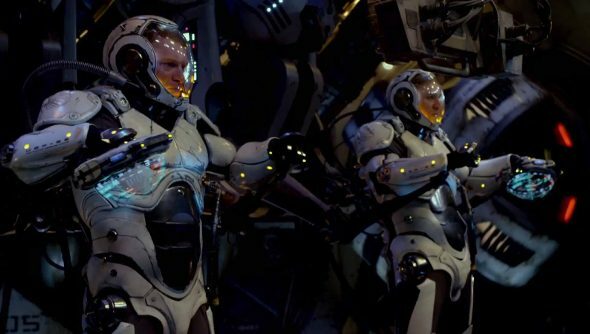 Pacific Rim: Jaeger Pilot is a combat simulator that uses Industrial Light and Magic assets from the Guillermo del Toro movie developed using Unreal engine 4. Unfortunately the trailer below just shows a few clips from the film, so if you weren’t at Comic-Con, you’ll just have to use your imagination. The combat scenario pits players piloting Gipsy Danger against the kaiju codenamed Knifehead in a first-person battle – which I can’t imagine anyone not wanting to jump into. It’s not clear if this is just a one-off promotional VR demo or if there are plans to build a full game out of it, or even release it in some capacity, but it’s certainly something to hope for. Like The Last Starfighter many years before it, Pacific Rim really felt like a movie designed for gamers, even including GLaDOS’ voice, which made it all the more tragic that the official video game was just terrible.One day we might be able to look back and laugh at how movie tie-in games were steaming piles of garbage while carving up kaiju in our massive mechs on the Oculus Rift.